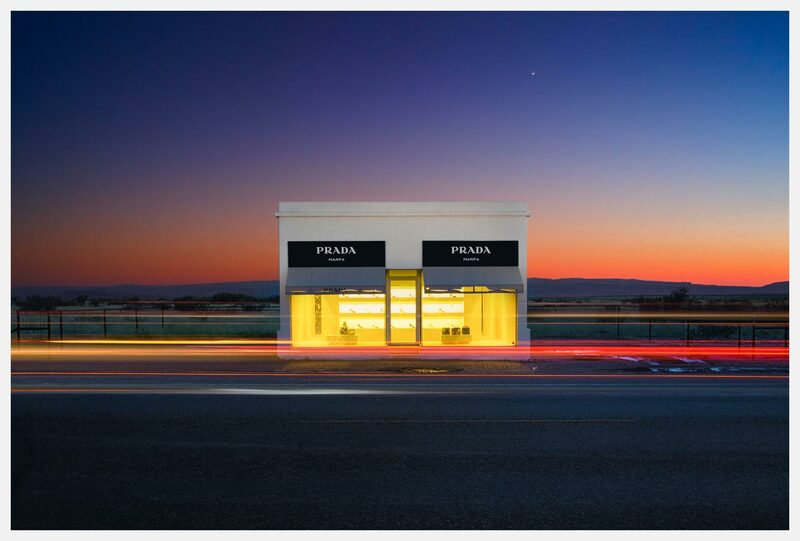 Prada Marfa is a permanently installed sculpture by artists Elmgreen and Dragset, situated 1.4 miles (2.3 km) northwest of Valentine, Texas, just off U.S. Highway 90 (US 90), and about 26 miles (42 km) northwest of the city of Marfa. The installation was inaugurated on October 1, 2005. The artists called the work a "pop architectural land art project." The sculpture, realized with the assistance of American architects Ronald Rael and Virginia San Fratello, cost $80,000 and was intended to never be repaired, so it might slowly degrade back into the natural landscape. This plan was deviated from when, six days after the sculpture was completed, vandals graffitied the exterior, and broke into the building stealing handbags and shoes.